The recession and the gulf oil leak have hit Virginia's shellfish industry at a sensitive time. The recession cost Virginia clam growers about $6 million -- sales dropped by 20 percent since last year. Oyster growing, though, is still a very small industry in Virginia, and because it's so small it was able to actually expand during the recession by about 26 percent. But then came the gulf oil leak. "It's a tipping point for the industry," said Tom Murray, a marine business specialist with Virginia Institute of Marine Science. 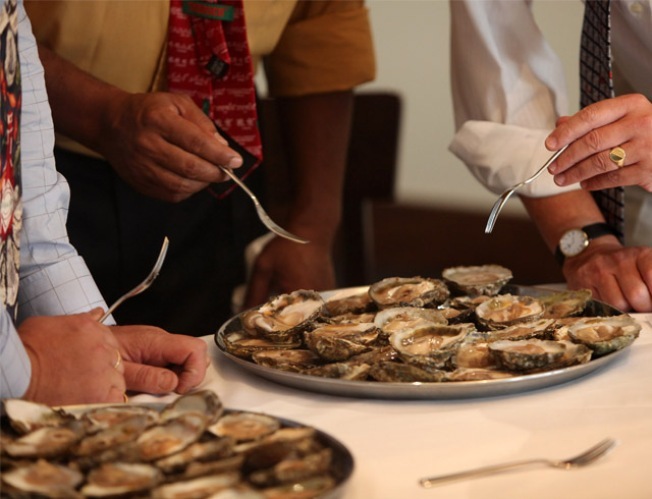 He said a lot of the Virginia oyster industry depends on processing oysters from the Gulf. So while Virginia is trying to expand and start growing its own oysters, it's losing out to the tune of $30 million and hundreds of jobs because the supply from the Gulf has dried up. "These businesses are in very rural areas of Virginia, so even though the dollars may not sound like a lot, in these communities they're very important," Murray said. An improving economy should help, Murray said, but he doesn't want to predict how it'll sort out. A report on the effects of the oil leak on the Virginia Oyster industry can be found here. A report on the current state of the shellfish industry in Virginia can be found here.